Schedule emails and campaigns in advance. Compose the next email at your own convenience, and pick the date and time you want it sent. Autoklose confirms it’s scheduled and automatically delivers it when the timing is right. 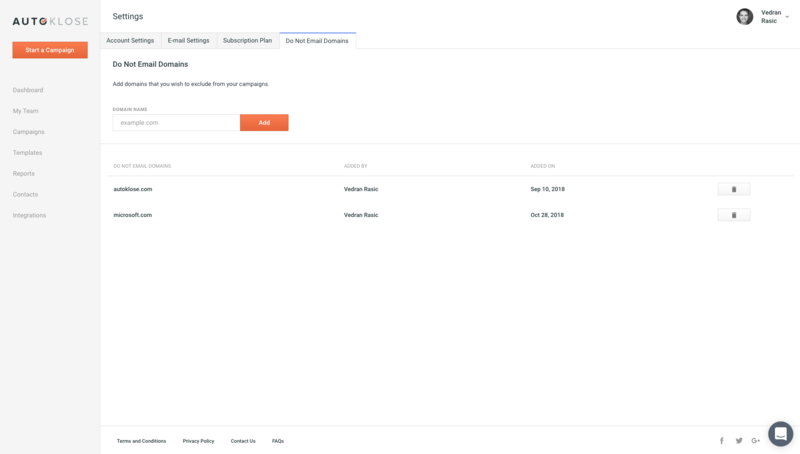 Autoklose makes it simple to personalize your outreach campaigns with personal tags, custom fields (company, location, industry, and more), thus increasing the probability that your prospects will engage. 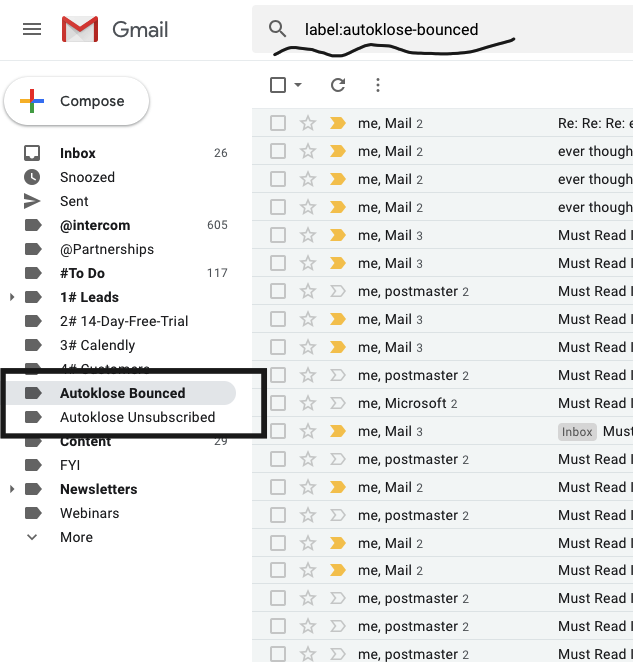 As noted, the Autoklose machine learning algorithms will continuously assist in automatically unsubscribing contacts that have asked to be removed from your list. You can also upload them directly from a .CSV file or you can add entire domains to your “Do Not Email Domains” list. Besides, you can always add the “Unsubscribe Link” to your emails. Your email signature is an important part of a successful email formula. Autoklose allows you to create and edit it easily. 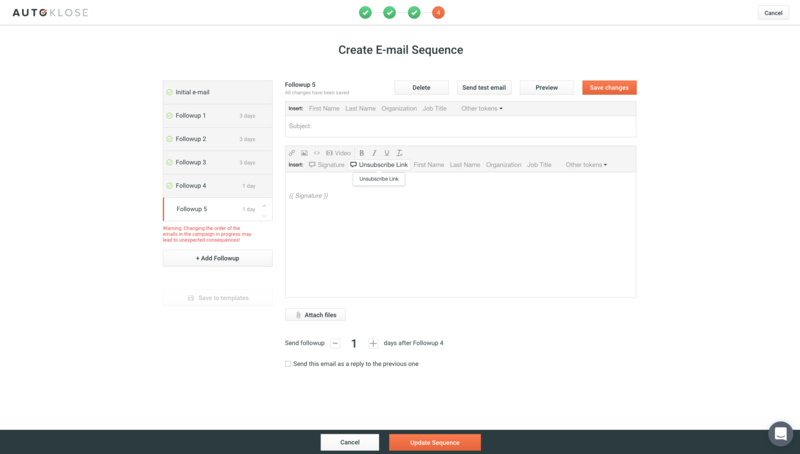 Sync your emails with any CRM that has a BCC feature. Autoklose will detect and handle all neutral replies including bounces, out-of-office messages and unsubscribes. You only get the most relevant and interested replies in your mailbox. 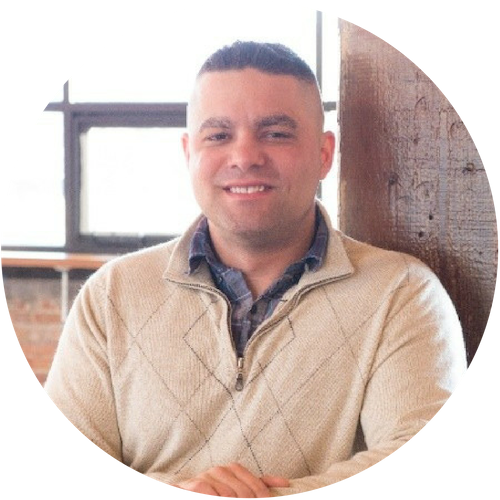 Autoklose uses machine learning to monitor all your email interactions, and tactically schedules your campaigns in order to ensure the highest probability of the prospects opening your emails. Each DataUnlimited contact will be validated before any campaign is sent to ensure deliverability and reduce bounces. If some bits of information and details about your prospects are missing, worry no more. Use our Email Placeholders and have a safe fallback. 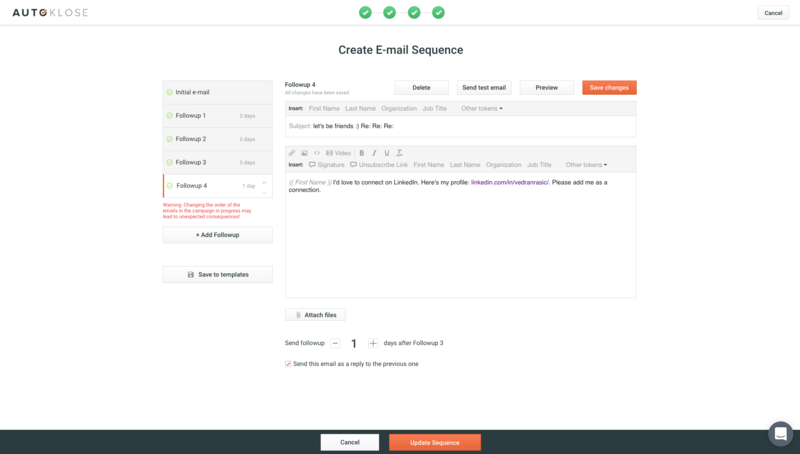 Sales email management has never been easier. 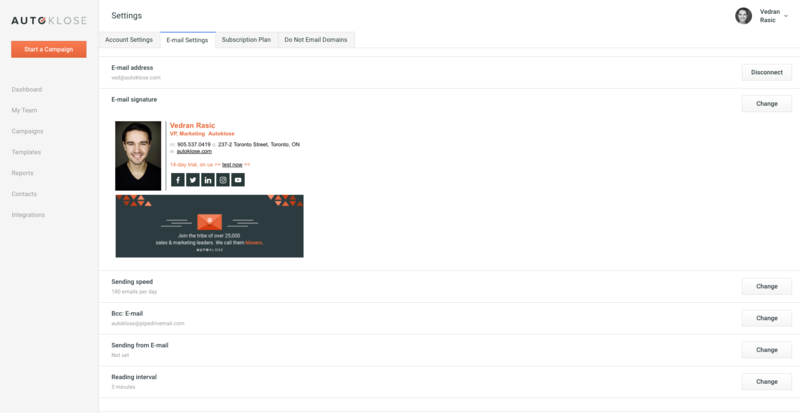 Autoklose makes it simple to personalize your outreach campaigns with personal tags, custom fields (company, location, industry, and many more) thus increasing the odds that your prospects will engage. 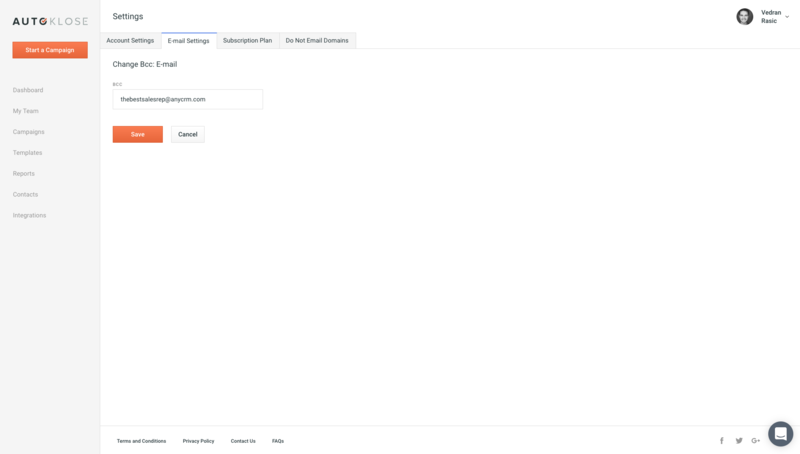 Connect more email addresses to your Autoklose account and send emails directly from them. 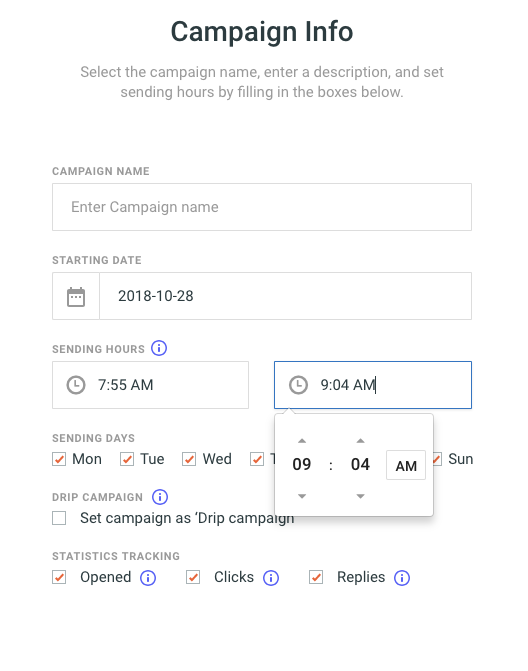 Adjust time zones and delivery times to when your recipients are most likely to open and read your emails.